Close to 300 delegates attended MobileTECH 2018 from throughout New Zealand and Australia – a real who’s who of primary industry and technology leaders. Over 40 speakers covered a wide range of technologies and issues critical to the growth and development of our agriculture, horticulture and forestry sectors. The theme for 2018 was ‘Innovation through Smart Data’. In the past, innovations in hardware and machines were the main productivity drivers. Now business data, machine learning and decision making software are the catalysts for future growth. That was certainly the take-home message from MobileTECH 2018. The digital revolution provides an exciting opportunity for the sector. Technology developers are looking to innovate and it is exciting to see the support structures available from organisations like Callaghan Innovation, WNT Ventures and Spark NZ. 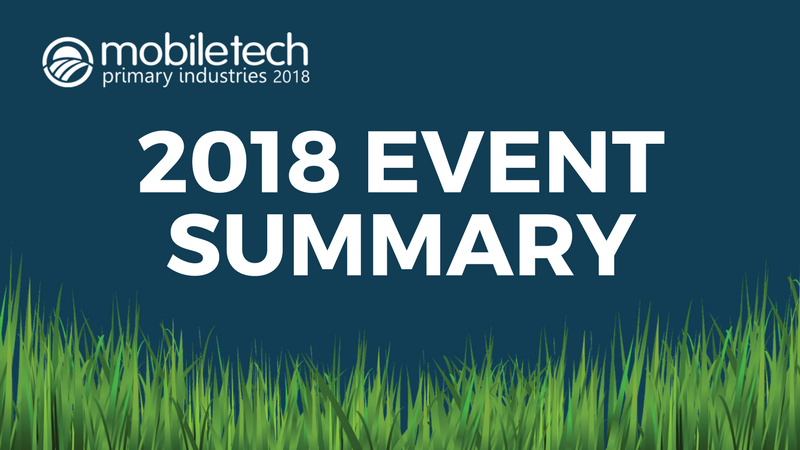 MobileTECH 2018 covered new collaboration and investment in agritech, understanding the impact of artificial intelligence, the current state of the Internet of Things, redefining health & safety applications in the digital world, improving the agri-food value chain, using advanced imagery for environmental decisions and blockchains potential for the sector. Case studies were a major highlight this year, with several presentations featuring both developers and their clients. These presentations provided an invaluable insight into the design, development and adoption of technology within their farm and orchard operations. While digital technologies are making big improvements in productivity, the key feature for success is in close collaboration between the developer, their client and end users. Understanding how the end user will use the tech is vital. There is no question that artificial intelligence, machine learning and blockchain are the future for the industry. One challenge for technology developers is, where possible, to enable easier movement and transparency of client data across suppliers. APIs will play a part in this, however, every system is complex and it will be interesting to see how this evolves. In the end, farmers and horticulturalists do want choice and the ability to select the best tools for their operations without the risk of locking themselves into one system. While adoption of new technologies will be faster for the next generation of operators, it will still be vital for developers and suppliers to show increased profitability and/or time savings from the investment. The majority of data is now being collected automatically, whether it is from stock tags, irrigation sensors or UAV imagery. Where manual entry is required, however, the ability to incorporate positional and other contextual data from sensors should automate much of the input. Digital technologies are transforming the primary sector into hi-tech industry. This is important for the continued growth of the industry and the ability to attract the next generation into the sector. Dates for MobileTECH 2019 will be announced shortly.